Above Prices are subject to 6% PA Sales Tax and 18% Gratuity, Non-refundable deposit of $500 secures the date for the hall. Non-refundable payment of $1000 and proof of insurance due within 90 days of booking. The final guest count and remaining balance are due 20 days before the event. Payment can be made with Cash, Check, Visa, MasterCard, or Discover Card. Minimum 100 guests. The Atrium will provide a suggested list of alcohol to be purchased. Please note - A gratuity of 18% will be added to all packages. No additional tipping necessary. Bar Packages are subject to 6% Pennsylvania Sales Tax. 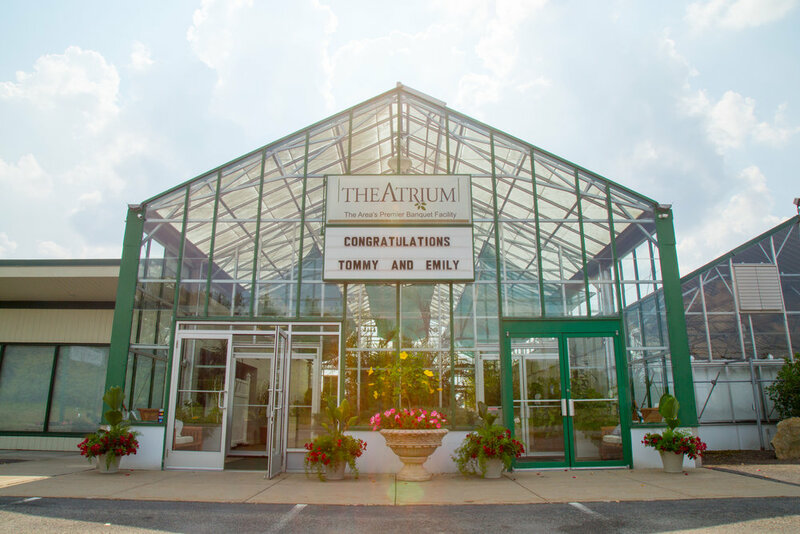 The Atrium will provide a suggested list of alcohol to be purchased and brought to The Atrium the day of your event. You may return any unopened bottles of alcohol to the PA Wine and Spirits Store for a full refund. The Atrium complies with the P.L.C.B. and will not serve alcohol to anyone under the age of 21 years old. The Atrium reserves the right to refuse service to visibly intoxicated persons.